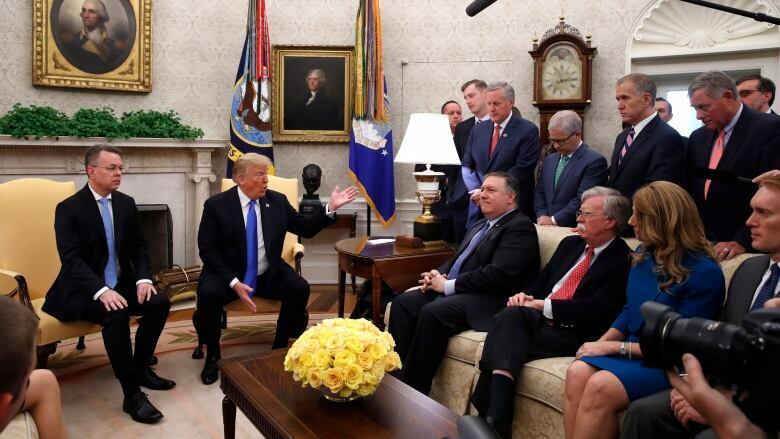 U.S. President Donald Trump held a White House meeting Saturday with the American pastor freed from Turkey, telling him the United States negotiated "long and hard" for his release and that "we do not pay ransom in this country." 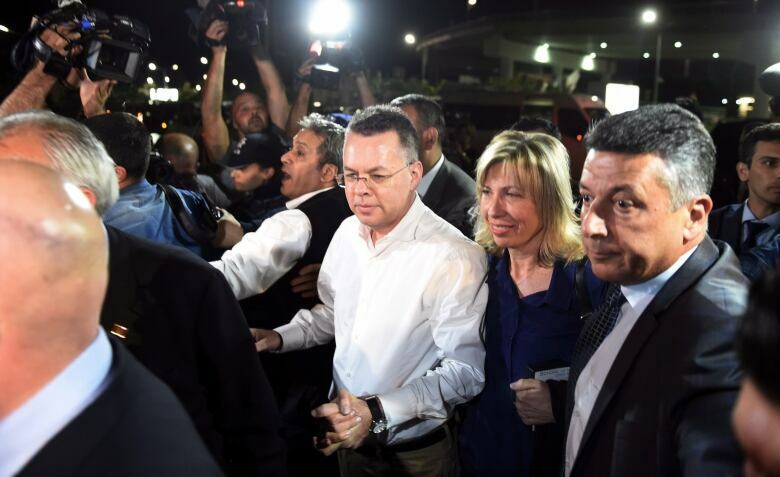 U.S. President Donald Trump welcomed Andrew Brunson to the Oval Office on Saturday, celebrating the American pastor's release from nearly two years of confinement in Turkey that had sparked a diplomatic row with a key ally and outcry from U.S. evangelical groups. Brunson, who returned to the United States aboard a military jet shortly before their meeting, appeared to be in good health and good spirits. He thanked Trump for working to secure his freedom and then led his family in prayer for the president. "You really fought for us," Brunson told Trump. Trump said, "From a Turkish prison to the White House in 24 hours, that's not bad." Where previous administrations kept negotiations over U.S. prisoners held abroad close to the vest, Trump has elevated them to causes ​célèbres, striking a tough line with allies and foes alike. Trump thanked Turkish President Recep Tayyip Erdogan who had resisted the demands of Trump and other high-level U.S. officials for Brunson's release. Erdogan had insisted that his country's courts are independent, though he previously had suggested a possible swap for Brunson. Trump said the U.S. greatly appreciated Brunson's release and said the move "will lead to good, perhaps great relations" between the U.S. and fellow NATO ally Turkey, and said the White House would "take a look" at the sanctions. Brunson's homecoming amounts to a diplomatic high note for Trump, who is counting on the support of evangelical Christians for Republican candidates in the Nov. 6 election. 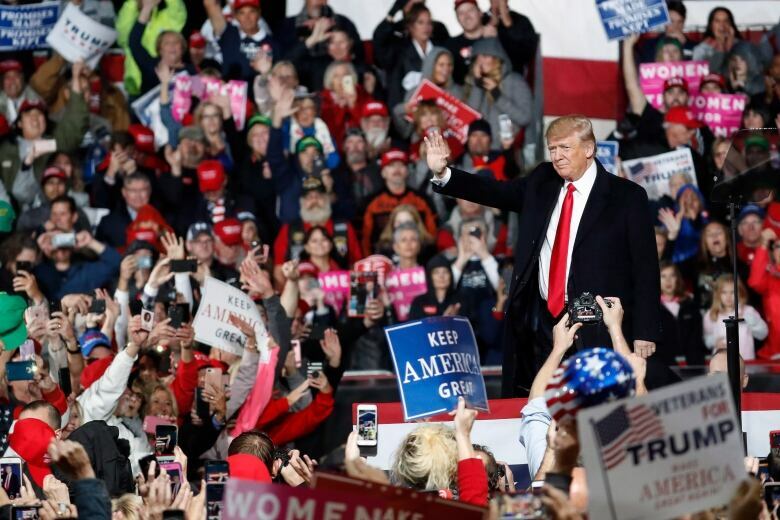 Thousands of Trump's supporters cheered Friday night at a rally in Ohio when Trump informed them that Brunson was once again a free man. Trump asked Brunson and his family which candidate they voted for in 2016, saying he was confident they had gone for him. "I would like to say I sent in an absentee ballot from prison," Brunson quipped, before praying that God grant Trump "supernatural wisdom." Brunson's case has been championed by prominent evangelical leaders such as Tony Perkins, as well as Vice-President Mike Pence. Erdogan said he hoped the two countries will continue to co-operate "as it befits two allies." ​Erdogan also called for joint efforts against terrorism, and he listed the Islamic State in Iraq and Syria group, Kurdish militants and the network of a U.S.-based Muslim cleric whom Turkey blames for a failed coup in 2016. A Turkish court on Friday convicted Brunson of having links to terrorism and sentenced him to just over three years in prison, but released the 50-year-old because he had already spent nearly two years in detention. An earlier charge of espionage was dropped. Brunson's release could benefit Turkey by allowing the government to focus on an escalating diplomatic crisis over Jamal Khashoggi, a Saudi contributor to the Washington Post who has been missing for more than a week and is feared dead after entering the Saudi consulate in Istanbul. Turkish officials suspect Khashoggi, a critic of the Saudi government, was killed in the consulate; Saudi officials deny it. confidence into an economy rattled by high inflation and foreign currency debt. The pastor, who is originally from Black Mountain, N.C., led a small congregation in the Izmir Resurrection Church. He was imprisoned after being detained in October 2016. Brunson was formally arrested that December and placed under house arrest on July 25 for health reasons.